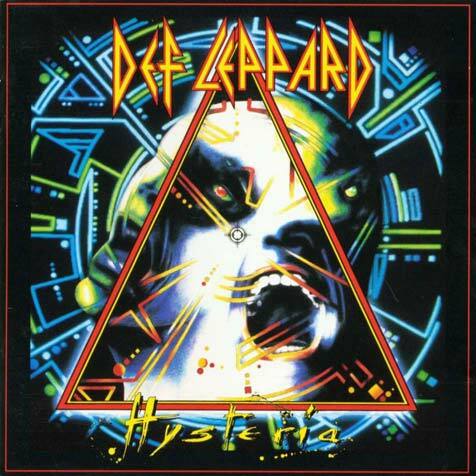 "Hysteria" is the fourth studio album Def Leppard. It was released on August 3rd, 1987. It is the band's best-selling album to date, selling over 20 million copies worldwide, and spawning six hit singles. All killer – no filler! The title of the album was thought up by drummer Rick Allen, relating to his experiences during the time of his auto accident, and the worldwide media coverage that followed. Initially, "Hysteria" was to be named "Animal Instinct". It's also the last album to feature guitarist Steve Clark.